The selective permeability of the blood–brain barrier (BBB) is controlled by tight junction-expressing brain endothelial cells. The integrity of these junctional proteins, which anchor to actin via zonula occludens (e.g., ZO-1), plays a vital role in barrier function. While disrupted junctions are linked with several neurodegenerative diseases, the mechanisms underlying disruption are not fully understood. This is largely due to the lack of appropriate models and efficient techniques to quantify edge-localized protein. Here, we developed a novel junction analyzer program (JAnaP) to semi-automate the quantification of junctional protein presentation. Because significant evidence suggests a link between myosin-II mediated contractility and endothelial barrier properties, we used the JAnaP to investigate how biochemical and physical cues associated with altered contractility influence ZO-1 presentation in brain endothelial cells. Treatment with contractility-decreasing agents increased continuous ZO-1 presentation; however, this increase was greatest on soft gels of brain-relevant stiffness, suggesting improved barrier maturation. This effect was reversed by biochemically inhibiting protein phosphatases to increase cell contractility on soft substrates. These results promote the use of brain-mimetic substrate stiffness in BBB model design and motivates the use of this novel JAnaP to provide insight into the role of junctional protein presentation in BBB physiology and pathologies. The online version of this article ( https://doi.org/10.1007/s10439-019-02266-5) contains supplementary material, which is available to authorized users. The authors acknowledge Kyle Thomas at Yellow Basket, LLC (kyle@yellowbasket.io) for software development support. 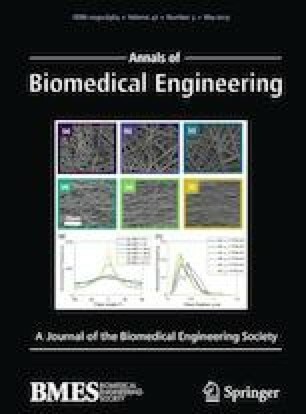 The authors also acknowledge funding from the Burroughs Wellcome Career Award at the Scientific Interface (to KMS), the Fischell Fellowship in Biomedical Engineering and the Dr. Mabel S. Spencer Award for Excellence in Graduate Achievement (to KMG), and the University of Maryland.